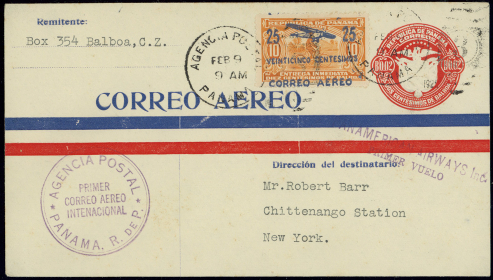 1929 Feb 9 AM (TWN-PAN-068) First international flight (FFM-PAN-001). 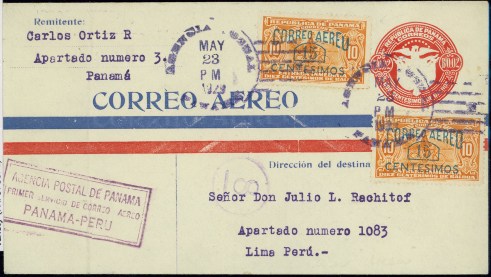 From Panama to New York, USA via American Arways, Inc.
1929 May 23 PM (TWN-PAN-064) First Flight Panama-Peru (FFM-PAN-009). 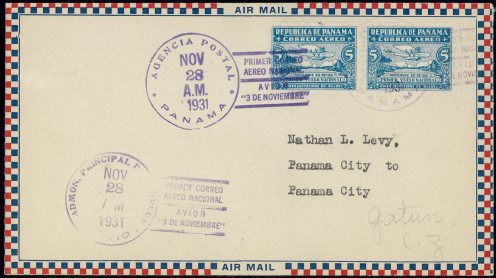 From Panama to Lima, Peru. 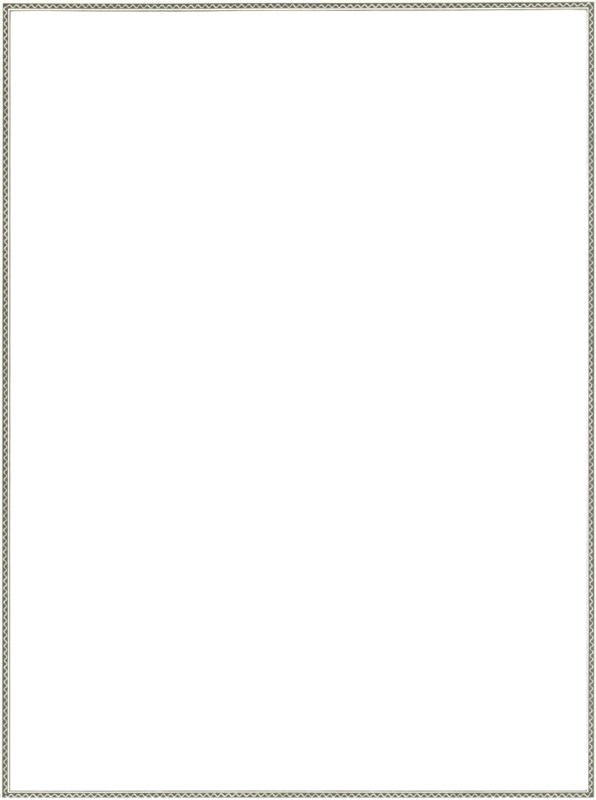 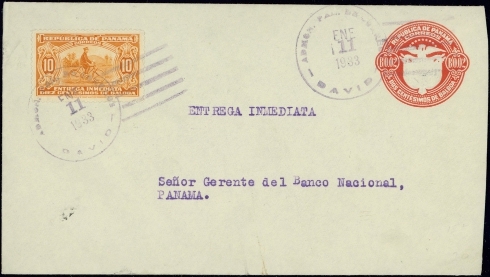 This cover shows the "CORREO AEREU" error. 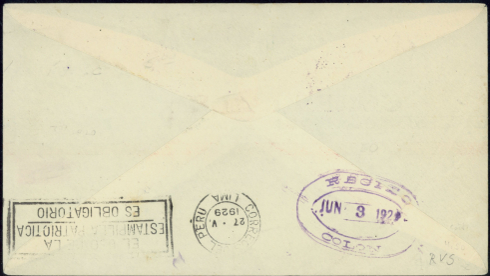 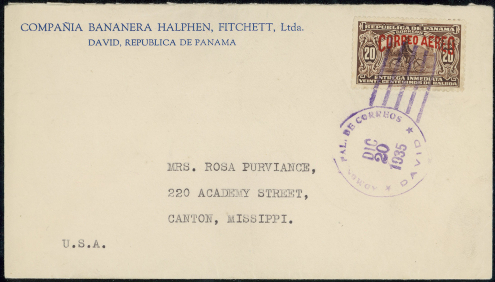 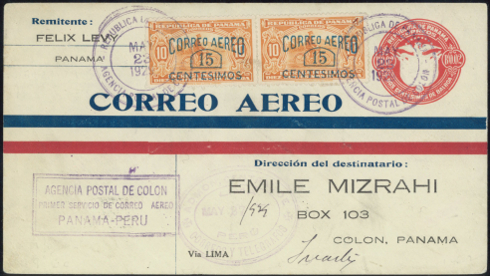 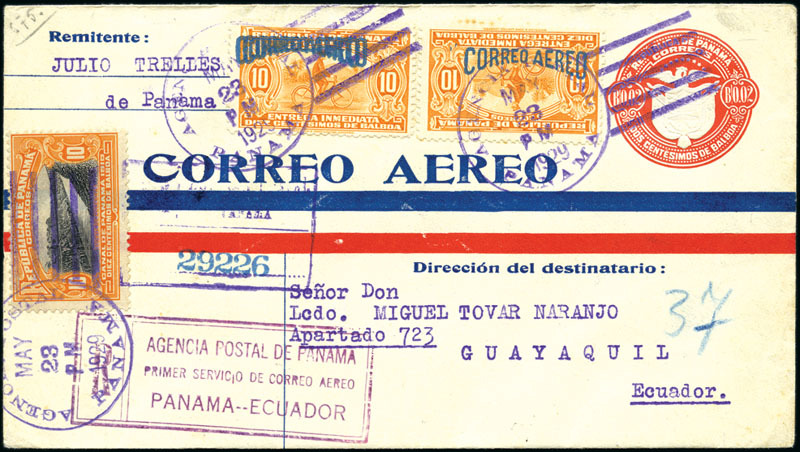 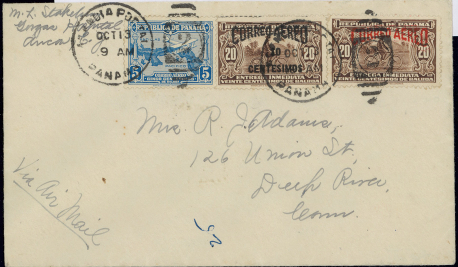 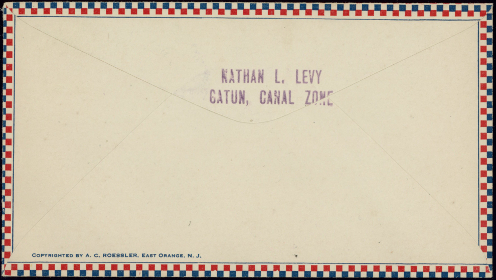 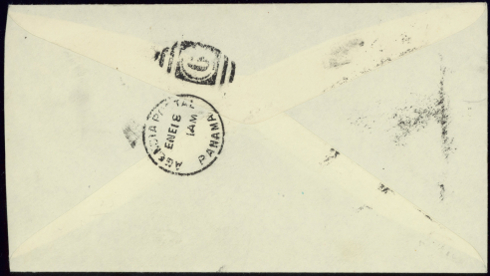 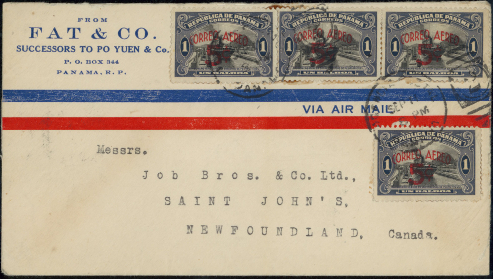 1929 (23 May) Panama City to Guayaquil, Ecuador FFC, 2c entire with aadditional 10c postage and two varieties of the "Correo Aereo" ovpt, one DOUBLE, the other INVERTED (Scott C2a-b), all tied by May 23 duplex ds, boxed flight cachet, sent reg'd with May 25 bs. 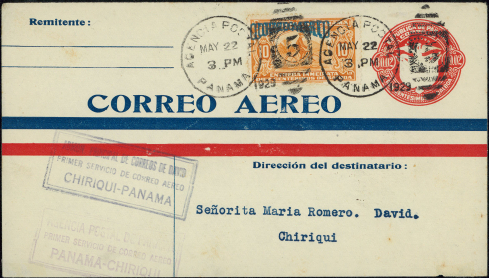 1929 (22 May) locally from Panama City to David, Chiriqui 2c entire with additional 10c postage with "Correo Aereo" overprint DOUBLE.